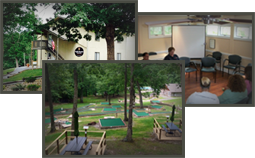 Serving women suffering from substance abuse disorders, our beautiful, 12-Step facility is located in East Tennessee. At English Mountain Recovery, we believe in whole-person healing: mind, body, and soul. Your program will take place in a gender-specific therapy environment, allowing our credentialed experts to meet the unique physiological, emotional, and relational needs of female clients. During a 30, 60, or 90-day stay with us, women feel safe and empowered as they begin a transformative rehab experience. Women and men have different physiological responses to drugs and alcohol, as well as different therapeutic needs. A single-gender treatment focus empowers women to share openly, overcome shame, and trust their therapy team and community. Both men and women may pursue sexual relationships or intimacy to fill a void during addiction recovery, and this can be detrimental. When women attend EMR’s gender-specific recovery program, rehab romances become less of a concern. In some cases, women are fearful of interactions with men due to previous sexual trauma, so single-gender treatment offers a safe environment where women can step back from dating or intimacy to focus on healing. At English Mountain Recovery, we take a gender-specific treatment approach that allows women 18 and over to rebuild their lives, nurture friendships, and overcome the stigma of addiction. Our long-term recovery programs are proven to reduce relapse and increase the chance of successful sobriety, and our beautiful, 27-acre inpatient center encourages healing and introspection. To reach an admissions advisor at our Smoky Mountain facility or discuss insurance coverage and program options, call (877) 459-8595.